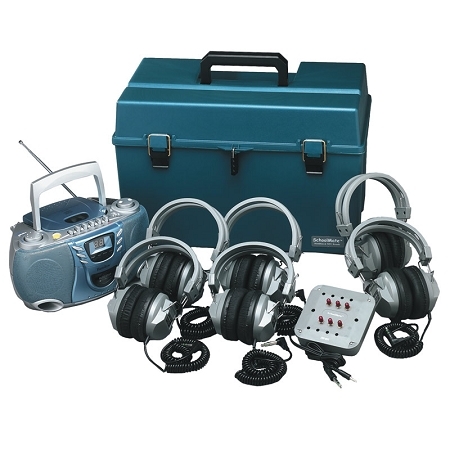 The Hamilton Deluxe CD/Cassette/AM-FM Listening Center include everything you need for classroom audio for up to 6 students at a time. This fully programmable CD player with repeat play records from CD, radio or built-in microphone and receives AM & FM stereo broadcasts. Comes with attractive silver blue housing with 2-way power - AC/DC - or operates on 8 "C"? size batteries (not included). UL listed. One (1) year warranty.